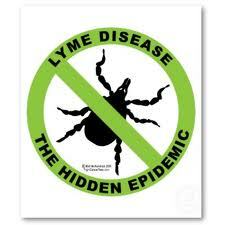 Lyme is on someone’s radar. Romney vows to take on Lyme disease ‘epidemic’. This entry was posted in Lyme Disease and tagged bacteria, deer, deer tick, epidemic, health, infection, infectious disease, lyme disease, Mitt Romney, tick, Tick-borne disease, treatment. Bookmark the permalink. This is the same Romney that stated healthcare is the province of the states and not the federal government. So how exactly is his pledge going to work? Isn’t government supposed to get out of the way?